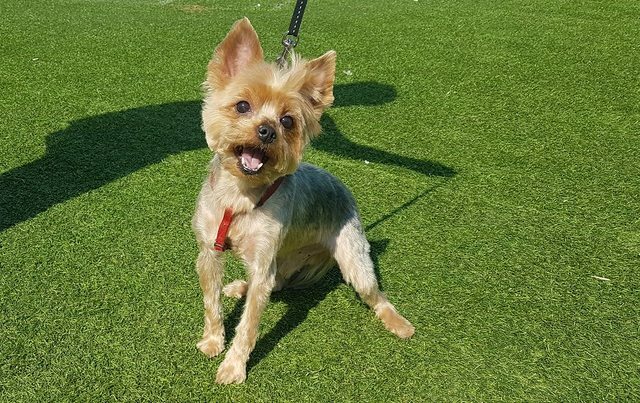 Leo is a 10 year old male Yorkshire Terrier. Adorable little Leo is looking for a new home due to the visiting grandchildren who are becoming quite rough with him. Leo has been very patient with this and will growl and walk away, however his owner feels that it is unfair to keep putting him under such pressure. In addition to this Leo does regularly wee in the home, his owner has taken him to a vet regarding this and there does not seem to be any underlying medical problems. However we do hope to investigate this further via our vet also. This is something that Leo has done for a while and we feel this behaviour appears to be habit/behavioural related. Leo was only neutered last year but this does not seem to have made a difference. Leo’s new owner must be patient with this issue and be willing to work with our behaviourist to get to the cause of the problem. 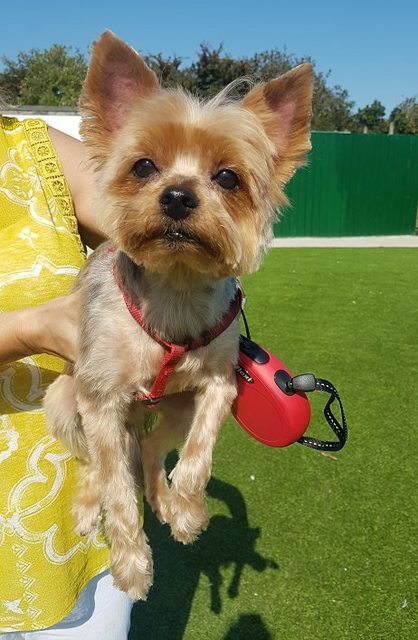 Leo is a very sweet little boy, but as any Yorkie lover knows he does have some character traits. He can be stubborn if he is being forced to move from another room and may growl/snap. However we feel that this is due to his current situation as he did used to have free run of the home until the grandchildren came along, but due to this and the urinating in the home, he is now restricted to certain areas. Leo does not like the postman and will steal mail as it comes through the door. Several years ago he did nip someone as they posted something through the door as they did place their hand inside the home. This can easily be solved with a cage fitted to the inside of the door to catch the mail. He will also bark at the door bell, which although this can sound intimidating he is happy to greet strangers into the home. Leo is happy to meet other dogs on walks but as he has only ever been the only dog in the home it is difficult to say how he will cope living with another dog. The same applies with cats as he shows little interest in them on walks, but again has never lived with one. Therefore we feel he would be best suited to a home where he can be the only pet. Overall Leo is a loyal and friendly little boy who is happy to be fussed over and picked up etc. We would love for him to a find a home with someone experienced with the breed who is around for most of the day to help him settle in and work on his house training. Leo will need an adult only home or where any children are over the age of 16.